Since our inception, iCadTec.com has provided professional CAD services to numerous AEC firms with overload design and drafting services that are specific to each client's needs. Client's designs, sketches, ideas and concepts in hardcopy format are sent to us via courier or mail and scans are received by e-mail, ftp or on CD-ROM. Preliminary, construction, as-built and presentation AutoCAD drawings are prepared from the information provided to us and professional CAD drawings are produced to each client's standards. 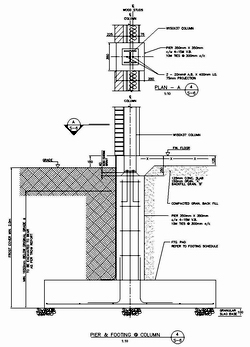 View a sample CAD conversion drawing here. Utilizing our professional paper to CAD conversion services, you can transfer your existing manual drawings to CAD software format by means of computerized drafting, on-screen tracing, digitizing and raster to vector conversion. We also specialize in large quantity record drawing conversions. We also support all AutoCAD formats in our CAD drafting outsourcing services and architectural drafting services. Add depth and perspective viewing to your 2D ideas using 3D CAD. We produce 3D architectural renderings and 3D home designs to bring your 2 dimensional drawings to life. We can take care of your hard-copies up to 'E' size plots (48"X36") on several industry standard media with our plotting and blueprinting services. Our large format scanning services can provide up to E size drawings (slightly larger than A0) either in mono, gray-scale or color. 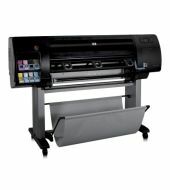 Drawings are normally scanned at 300 - 400 dpi, and we do have the capability to scan at higher resolutions when requested. We can provide you with various types of output files, e.g. TIFF, JPEG, etc. Drawing files can be sent/received using e-mail and FTP internet protocols. Drawing Web Format (DWF) by Autodesk enables CAD operators using AutoCAD and AutoCAD LT to publish and download drawings, via the internet, in conjunction with Microsoft Internet Explorer 5.01 (or later). See some client testimonials of our CAD services. Contact Us to discuss your needs for CAD services.